Forgiveness is NOT a single act, but a PROCESS. At The Third Option we cover the step-by-step process. 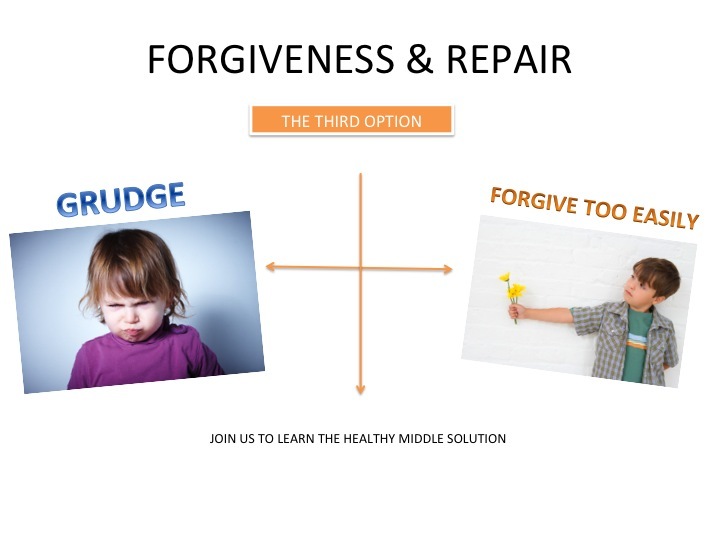 The second part to the Forgiveness process is another topic we teach, Rebuilding Trust. Join us to learn The Third Option and how to work your way to the healthy, middle solution.